Managing diabetes can be stressful for anyone. But when compounded by food insecurity, it can be even more difficult to adhere to strict dietary guidelines. This chronic medical condition also strains household budgets, forcing many low-income diabetics to choose between healthy food and their life-saving medication. More than a third of the households we serve through our partner agencies have a family member living with diabetes, and 77% of households have had to choose between food and medical care. People experiencing food insecurity are often at the highest risk for long-term health conditions. Poor nutrition and increased stress can result in poor disease management, which leads to increased complications and health emergencies. So what can we do to break the cycle? We work with our partners to address both food insecurity and related health problems by ensuring that our most vulnerable neighbors have access to healthy food. This week, thanks to a generous grant from the Caterpillar Foundation through Feeding America, we were able to provide special diabetic boxes to several of our partner agencies in Wake, Wayne, Johnston, and Lee counties. These boxes contained items such as quick oats, mandarin oranges, brown rice, peanut butter, carrots, and dry pinto beans. 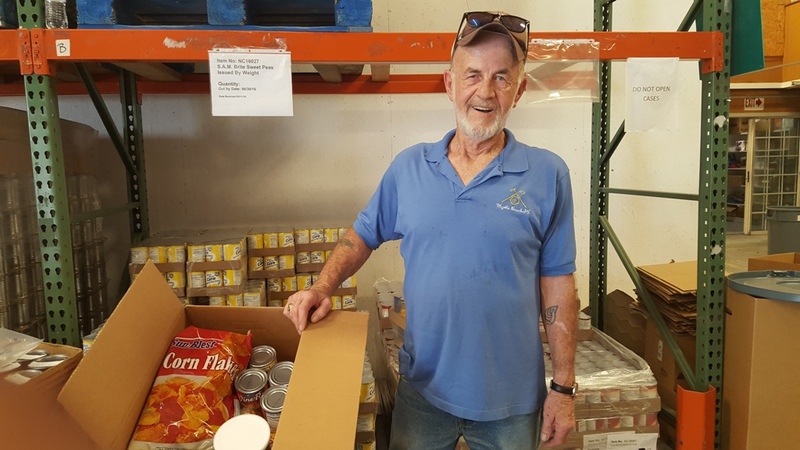 Patrick McMillan, a volunteer at Beaver Creek Church food pantry, picks up special boxes filled with food for diabetics. Beaver Creek Church, located in Lee County, received 161 diabetic boxes and 54 family boxes to provide to their clients this month thanks to the Caterpillar Foundation. “We appreciate the fact that Caterpillar would donate these boxes. We are serving about 700 people a month right now, and any assistance that we get is really going to help a lot of people,” said Dale Matthews, food pantry coordinator at Clayton Area Ministries, one of our partner agencies in Johnston County. 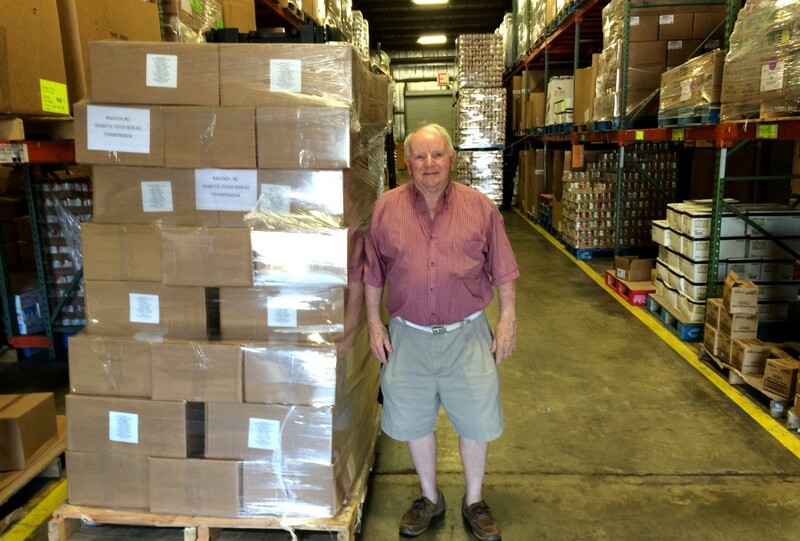 A volunteer from Clayton Area Ministries food pantry picks up a pallet of diabetic diet boxes at our Raleigh Branch. Clayton Area Ministries, located in Johnston County, received 137 diabetic boxes and 45 family boxes to provide to their clients this month. At the Food Bank, we believe that no one should have to sacrifice their health so that they can provide food for their family or themselves. Our partners play a critical role ensuring that people at risk of or managing chronic diseases not only have enough food to eat, but have healthy food to eat. There is truth behind the old adage “An apple a day keeps the doctor away,” and we will continue to work hard to make sure everyone has the opportunity to lead a healthy and active life.